tops, appliances, plumbing fixtures, etc. or the costs, including labor, to remove and reinstall materials and related components such as fittings, appliances, etc. cabinets damaged by misuse, neglect, abuse, acts of God, exposure to moisture, exposure to extreme temperatures or the effects of normal wear and tear. are considered to be the nature of the material in relation to their environmental exposure and are not covered under this warranty. Schrock Cabinetry reserves the right to alter design, specifications and material without obligation to make similar changes to products previously manufactured. 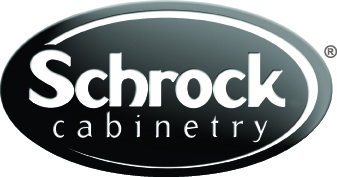 The repair(s) or replacement(s) are contingent upon the current product offerings of styles and construction options within the Schrock Cabinetry, products at the time of the warranty claim. application. This is due to the changes that occur during the woods’ natural aging process, affecting its color and grain. Schrock Cabinetry is a subsidiary of MasterBrand Cabinets, Inc.
What is the Decora Warranty come with. the builder/contractor/developer and is the first occupant of that dwelling. (ix) not purchased in, or installed in, the United States. environmental exposure and are not covered under this Limited Warranty. time. Any such effects on the color and/or integrity of the finish over time are not covered by this Limited Warranty. inspection, defer action for 12 months to allow the Product to acclimate to the installed environment. of the originally purchased style. changes that occur during the woods’ natural aging process, affecting its color and grain. Here at Mill Hollow we strive to inform you of all your choices.